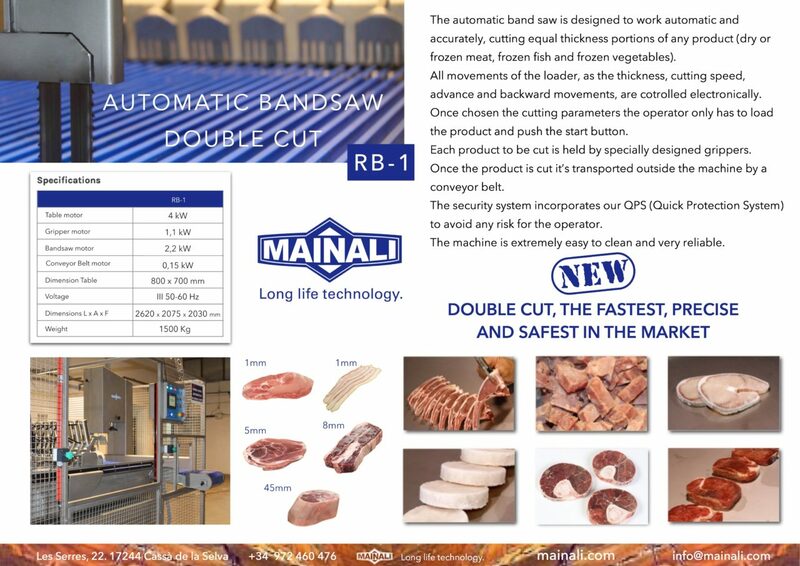 The Maniali Model RB-1 Double Cut Automatic Bandsaw is designed to work with the operator away from the cutting blade. The automatic saw is one of the safest bandsaw’s in the world market and can assist in eliminating dangerous accidents caused by meat bandsaw’s every day in America. 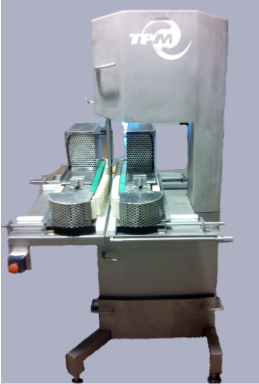 The Mainali RB-1 Double Cut Automatic Band Saw can cut frozen products like tuna loins, pork, and meat for bone-in and boneless products.